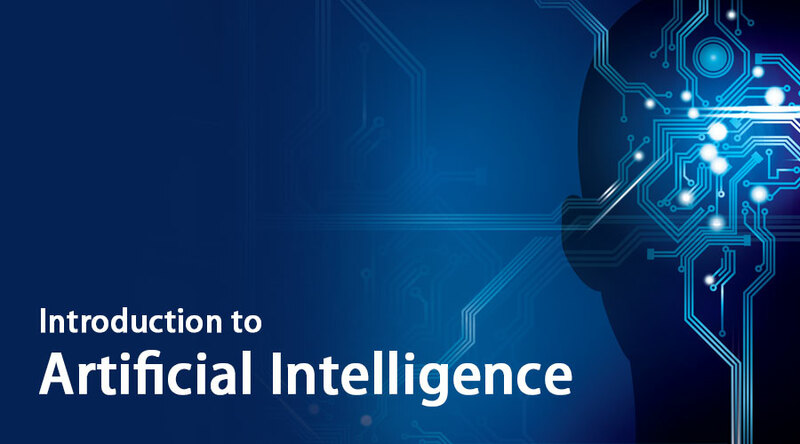 Artificial Intelligence is an ability to design smart machines or to develop self-learning software applications that imitate the traits of the human mind like reasoning, problem-solving, planning, optimal decision making, sensory perceptions etc. The capacity of artificial intelligent approaches to outperform human actions in terms of knowledge discovery gained the attention of business and research community all over the world and this field of study witnessed rapid progress in the past two decades. let us move ahead in this introduction to artificial intelligence post in detail. Reduction of the degree of disorder, called entropy while classifying datasets based on selected features. In other words, this optimal set of features maximizes Information gain. Zero correlation among the features thereby achieving independence and minimality of feature-set. This objective is achieved using techniques like Principal Component Analysis (PCA), Gram-Schmidt orthogonalization process, etc. Convolutional Neural Networks (CNN) convolves the received input with the learned spatial filters/patterns to identify features at convolution layer. These signals are feed-forwarded to next layers that are fully connected to perform recognition tasks. The robustness of convolution to translational variations fuels recognition or labeling of features effectively and this approach is extensively used in image recognition applications. Recurrent Neural Networks (RNN) uses Long Term Short Memory (LTSM) for smart estimation of unknown values from the given series of past data. The notion of personalized medical care to treat diseases or disorders caused due to gene mutations is achieved by precisely understanding the genetic blueprint of the patient. The analysis to identify the order of nucleotides is called Genome Sequencing. With the insights from Genome sequencing, susceptible mutations would be identified to prescribe a sufferer-specific line of treatment. Modern rescue systems use AI-powered drones, robots, sensors to quickly gather precise information regarding the extent of damage, the exact location of trapped victims, topographical details of the landscape during crisis times. Intelligent systems assist rescue workers to identify nearest and safest assemble points while evacuating people from disaster-hit areas. AI equipped disaster management modules effectively stimulate mock disaster drills to identify potentially vulnerable locations, to plan precautionary actions, to monitor and govern resource allocation seamlessly. Collaborative filtering focuses on identifying similar users and recommend items preferred by similar other users. Mathematically, the represented utility matrix is sparse and recommendation algorithm aims to deduce the unknown/missed entries from the few known values using clustering algorithms and matrix factorization methods like singular value decomposition (SVD), etc. AI-powered systems are the best-fit solutions in the environments, where human life is more likely to be under risk. Few examples of such scenarios are space exploration, defense operation like bomb defusing, workplaces characterized by intense heat, Mineral mining etc. The performance of well-trained AI enabled applications drastically reduces the chance for human errors to creep in. These AI versions proved to be faster at computationally-expensive tasks especially in the field of scientific research and at time-consuming tasks. Most of the routine, trivial and repetitive tasks can be automated with proper AI drove technology to improve operational efficiencies. In general, intelligent systems, before getting deployed as a real-world solution, learn an optimized model with the help of a large amount of data while training and validation. The availability of huge data volumes and the ability to handle it are the major limitations for the conventional systems and software applications to evolve as AI enabled editions. The need for sophisticated modeling techniques that can estimate the model parameters with high precision using limited data samples is imminent. The efficiency and precision of perception based recognition applications, that encompasses computer-vision methods, can be improved by leveraging the ability to interpret and process multiple modes of data simultaneously. This enables recognition paradigm to ideally emulate human intelligence that works in conjunction with various senses like touch, vision, hearing, etc. With the exceptional capability of AI technology to understand and learn vast libraries of information at the faster pace, there are few threatening instances where an AI framework gained emotional quotient and surpassed the extremities of human logical thinking. In such unregulated cases, the unusual behavior if AI systems would lead to irreparable catastrophe.